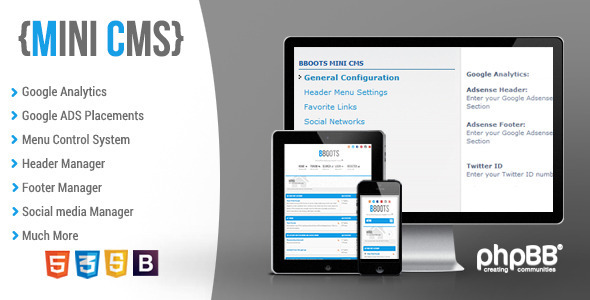 This MOD allows the administrator running BBOOTS to easily customize the BBOOTS style via ACP (Administration Control Panel). Similar to the WordPress custom theme systems. Dave has been nothing short of AMAZING in his customer support. This is a person who is 100% dedicated to his customers. Can’t say enough good things about Dave, BBoots and Mini CMS. You rock! Saved my day and time! Simple yet powerful stuff. keep it up. Wish you best of luck. its amazing to see actually someone knows their things so well as you do. it is very easy to customize just like copy and paste. One more thing, Dave is always there to assist you. Thank you Dave. Love it, well worth the extra dough!